Capitol TwinPeaks, the residential venture of the Sanken Group, located on the Beira lakefront in Colombo 2, showcased their premium project at the SMART Investment & International Property Expo in Singapore, recently. 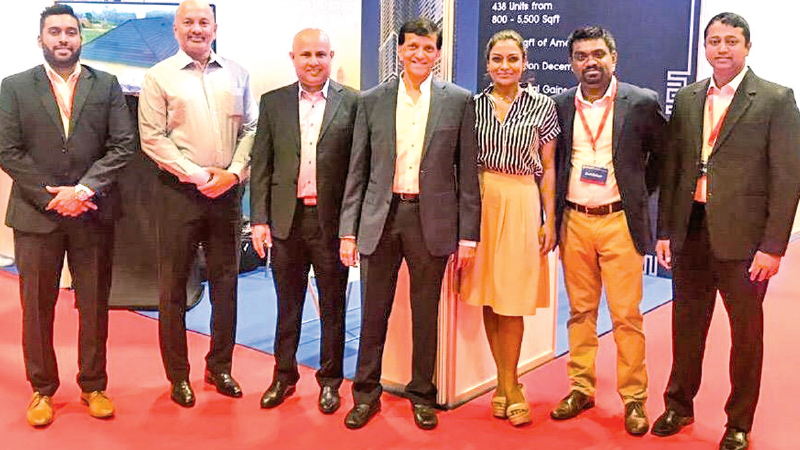 The Sanken Group was present at the event representing not only Capitol TwinPeaks, but Sri Lanka’s real estate industry overall, in order to attract further investors, aiding in increased inflow of FDIs to the country. Other nations present were China, Indonesia, Japan, Malaysia, UAE, the United Kingdom and Singapore, allowing for attendees to source premium global property, from real estate hotspots with expected high returns on investment. On the invitation of the Sanken Group, Principal-Deal Advisory, KPMG Sri Lanka - Shiluka Goonewardene, conducted a seminar at the event on “Sri Lanka Investment Overview – Growth Potential Going Forward”. The expo and seminar, which took place over two days at the Suntec Singapore Convention & Exhibition Centre, welcomed over 3,000 investors and property buyers who were granted first-hand access to luxury properties and developers from around the globe. Concluding, Goonewardene noted, “Today’s international expo will allow for investors to view luxury properties from some of the best current investment destinations, such as Sri Lanka’s Capitol TwinPeaks. Allowing for Investors to realise winning investment strategies that meet their own risk assessments” Sanken is synonymous with several landmark high rises around Sri Lanka, with over 17 subsidiaries complementing the Company’s overall expertise in real estate.